At the age of twelve Jim joined the St. Andrew's Society Boy's Pipe Band in Moose Jaw, Saskatchewan. Six months later, he made his first public appearance — before Princess Elizabeth, on her first Royal Visit to Canada. Enthusiasm and the fine instruction of Pipe Major Bob Shepherd and Jim Carnegie of Belbeck, formerly of the Edinburgh City Police, brought Jim three Saskatchewan Junior Piping Championships. 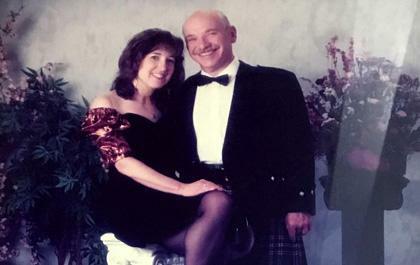 After high school, Jim joined the Canadian Army as a piper destined for the Black Watch of Canada. 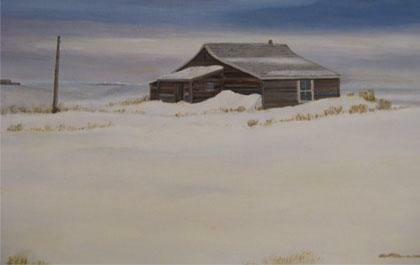 He ended up as an officer in the Royal Canadian Armoured Corps, eventually settling for a teaching career in Calgary. 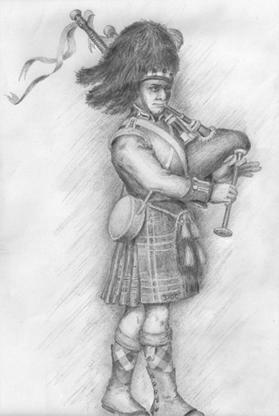 He served as Band Officer of the 19th Medium Regiment which soon became the Clan MacBain Pipe Band with which he played for several years. Jim spent part of a summer at the Invermark School of Piping in New York State, learning the basics of piobaireachd, earning their highest certificate. In 1962 he was chosen as Chief Instructor of the Prairie Command School of Piping and Drumming at Currie Barracks. In later years he conducted workshops and schools in British Columbia, Alberta, Saskatchewan, Manitoba, Ontario, and Montana. In 1967 Jim returned to his hometown of Moose Jaw where he remained for the next quarter-century as a high school teacher. There, he served as Band Director/Pipe Major of The White Hackle, the descendent of his original band, The Saint Andrew’s Boys. 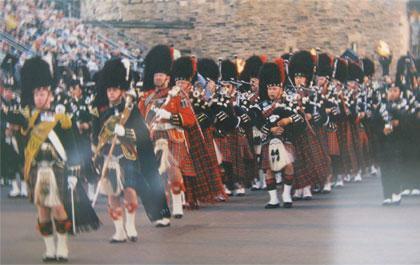 Over the next two decades the band competed extensively in Canada and for two summers in Scotland. The Hackle prided itself on its versatility. They were as much a Show Band as a competitive band. Fancy Drill displays won them many prizes and more tours far from the Saskatchewan prairies. The White Hackle was well received all over the U.S.A. (including Hawaii), England, Scotland, Australia, New Zealand, and Canada. These included invitational performances at two World's Fairs, Disney World, and a Command Performance for the Governor General of Canada. During those years Jim was co-founder of the Saskatchewan Summer School of the Arts and The Prairie Pipe Band Association. He served in a variety of roles and executive positions from the 1960‘s to the 1990‘s. He wrote several pamphlets and articles on piping and was the editor of "The Bandsman", the Prairie Pipe Band Association’s newsletter. However, Jim is most proud of having taught piping and even bass and tenor-drumming to hundreds of youth, many of whom have gone on to do the same for the succeeding generations. Like many pipers, he is addicted to composing, having churned out countless tunes to amuse himself. “The last time I spoke with the late Pipe Major Donald MacLeod MBE, he told me he intended to bring out a seventh book of pipe music and wanted permission to include 'half a dozen' of my compositions. Of course, I was delighted and agreed.” Unfortunately,Donald passed away months later, and his book was never published. Jim didn’t think to ask him which tunes he wanted to use. Donald did include two of Jim’s compositions, "Canada's Welcome to Donald MacLeod" and "Pipe Major Robert Shepherd", a tribute to Jim's first teacher, in other publications, as well as a fine 2/4 march, “Pipe Major J. McWilliams” that Donald composed for him, and a lovely slow air, “Lachie’s Lullaby”, for Jim’s eldest son. For many years Jim has been an adjudicator of Piping and Ensemble and even Bass-Tenor competitions in Nova Scotia, Ontario, Manitoba, Saskatchewan, Alberta, British Columbia, Montana, and Washington State. In 1993 Jim left Moose Jaw to begin a new career as a retiree in Cloverdale, B.C.. He continued piping, first with The Delta Police Pipe Band, The White Spot Pipe Band (as Instructor), the Langley Legion Pipe Band, and eventually the Vancouver Police Pipe Band. He served on the executive of the B.C. Pipers Association.